Welcome to this website, specially dedicated to car repair. If you are looking for specific information about car repair, you have found the perfect website to clear all your doubts. After surfing our site, you will acquire the knowledge you need to understand your problem, hire the best repair services and avoid being deceived due to lack of information. We know your car is a valuable object for you, not only due to its importance in everyday life, but also because of what it means. When your car stops working properly, you may feel confused, and that is the moment when you can come to us looking for help. This website is especially dedicated to car repair. No matter the brand or model, cars are one of the most important objects for people, and that is the reason why you should keep yours in good shape and take it to a mechanic you trust when it has a malfunction. The mechanic’s role is vital, as he is the specialist who has the experience and necessary skills to diagnose a car problem, offer an appropriate estimate, look for the best spares and fix the car in an efficient and quick way. However, finding a mechanic you can trust is not easy, and here we will give you some tips so that you avoid unkind mechanics who deceive you when diagnosing or giving an estimate. 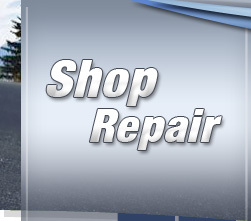 With our advice, you will be able to find a repair shop that offers high-quality services and affordable prices. In order to find a shop with these characteristics, first you should get informed about the car’s basic operation. On this site we offer a simple explanation so that you can understand how cars work and which their main components are. You will find information about the engine, the braking system, the cooling system, and the transmission and ignition systems, among the most important features of cars. We also offer a list and a description of cars’ most frequent problems for you to identify your car’s inconvenience. It is vital that you can interpret your car’s symptoms and that you can ask your mechanic knowing the basic concepts of its damage. That is the only way you can avoid being deceived by a mechanic about the diagnosis or the repair estimate. The engine does not work, the brakes do not properly work or your car won’t start? Do not worry. 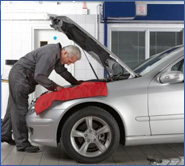 With the information we provide here, you will be able to talk to the mechanic and you will understand what he says. You will soon be able to enjoy your car on the streets and roads! Surf our site and carefully read our advice. We can assure you that after doing so, you will hire experts who will repair your car with high-quality services, in a quick way and with affordable prices.